In midlife, Peter Karoff took a sabbatical from working at a real estate and investment firm to pursue a master’s degree in writing poetry, a field far removed from a life in finance. Around the same time, he became a philanthropic matchmaker when he brought together two friends — one a CEO who wanted to launch a corporate giving program, the other “Eyes on the Prize” documentary filmmaker Henry Hampton, who was seeking additional funding for his project. That experience inspired Mr. Karoff to found The Philanthropic Initiative in Boston. Since it began in 1989, the nonprofit consulting firm has sought to increase philanthropy’s impact by working with companies and families to make their donations more effective. Thoughtful and literary, Mr. Karoff continued to write, often filtering his observations about charitable giving through his poet’s sensibility. “The problem is that the art of philanthropy has no agreed-upon definition — it is seldom named or acknowledged as art, even though we know it when we see it,” he wrote in a 2012 essay for the Stanford Social Innovation Review. After moving in 2008 from his longtime home in West Newton to Santa Barbara, Calif., he taught poetry classes, even after being diagnosed with pancreatic cancer. He expected perhaps 20 to sign up for his final outing, only to find that 70 wanted to be among his students. Mr. Karoff was 79 when he died March 9 in his Santa Barbara home. People yearn for a larger purpose, but often can’t bridge the gap between day-to-day responsibilities and the greater public good, he noted in “The World We Want: New Dimensions in Philanthropy and Social Change,” a book he wrote with Jane Maddox. Along with the poetry workshops he offered late in life, Mr. Karoff had taught classes in philanthropy at various colleges. At home with his children, he shared lessons that guided him, particularly when he was establishing The Philanthropic Initiative. H. Peter Karoff — he never used or went by his first name — was born and grew up in Brockton, a son of George Karoff, who ran a hardware store, and the former Sadie Berger. 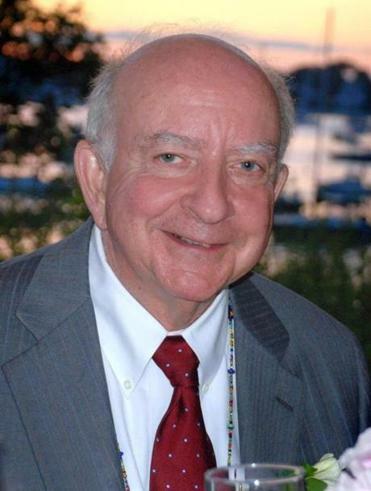 Mr. Karoff majored in English at Brandeis University, from which he received a bachelor’s degree in 1959. While there, he met Martha Conant, and persisted after she turned him down when he first asked for a date. They married in 1956. Though Martha Karoff was called a homemaker by the convention of the era, Deborah said in a eulogy when Mrs. Karoff died in 2015 that “it might be better to reverse the word and describe my mother as a maker of home” — someone who “decorated her homes in beautiful and sophisticated ways,” and who also served as the founding board chair of the New Repertory Theatre in Watertown. At the beginning, however, the Karoffs lived in a garage that had been converted into an apartment, and Mr. Karoff sold Seal-O-Matic cookware door-to-door to support his wife and the first of their children while finishing his undergraduate studies. He would go on to sell insurance for John Hancock and later become an executive with The March Company, working in real estate and investment. With his family he settled in West Newton, from which he commuted while studying for his master’s in fine arts from Columbia University in New York, which he received in 1988. In addition to his four children, Mr. Karoff leaves a brother, Richard of Boston, and seven grandchildren. A memorial gathering will be held at 2 p.m. Sunday at First Unitarian Society in Newton. He had nearly finished a memoir when he died, and his first collection of poetry, “Parable,” was published in May. In “Larger Than Life,” written as a tribute to a philanthropist friend, Mr. Karoff closed with two stanzas that, after he died, could be read as a reflection on his own work in the parallel pursuits of poetry and philanthropy. And just goes back to its work.